We’re wrapped up our efforts for the year and have reached 16,626 pins across 126 Boards. 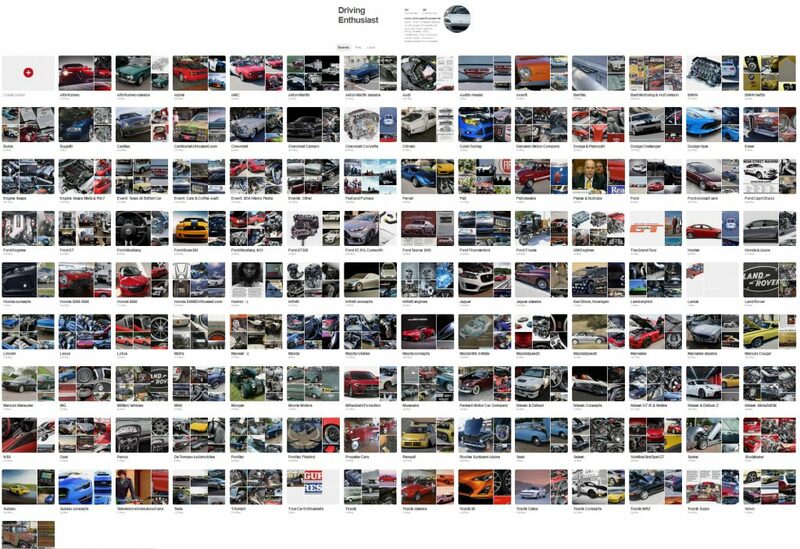 Our goal is to create a reference library of images for all brands of interest to enthusiasts: driving enthusiasts, performance enthusiast, classic car enthusiasts and more. To build this incredible Board, we’ve used some of press images that we’ve accumulated over the 16 years our site has been in existence, as well as thousands of images our editors have taken over the same years at various shows, museums, and events. In the new year we’ll reach over 20,000. We already have over 200 detailed images of the Shelby GT-350 technical bits that have been waiting for editing and cleanup, as well as a couple of thousand more images from shows and events. And the annual auto show season is about to hit high gear, where we’re expecting several exciting enthusiast cars to be introduced in the next month alone. We hope you enjoy our efforts here: our Pinterest site is a unique resource for driving enthusiasts!